Tan Sri Dato’ Seri Dr. Teh Hong Piow is one of the richest man in Malaysia. 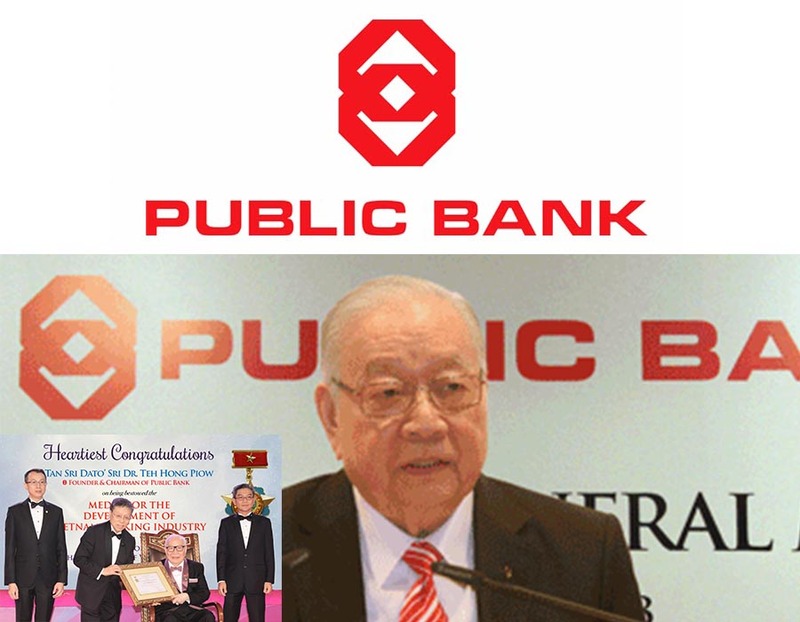 He is the founder and chairman of Public Bank Berhad, known to be one of the most successful banks in Malaysia with presence in other countries in the region. Teh was born in Singapore in 1930 where he studied at the Anglo-Chinese School there where together with his wife, Puan Sri Tay Sock Noy, they are blessed with 3 daughters and a son. Teh’s success today is attributed through his hard work and perseverance where he worked and move his way up the corporate ladder in the banking industry. He started off with Overseas-Chinese Banking Corporation (OCBC) when he was a Bank Clerk. His talent and hard work earned him promotions where in 5 years he became the officer of the bank before moving on to better opportunities with Malayan Banking Berhad as a manager. When he was 34 years old, he was promoted to become the General Manager making him one of the youngest managers then. He would then leave Malayan Banking to start his own company and that was when Public Bank was born. He is the fifth richest man in Malaysia where his story of rags-to-riches remains as one of the most popular stories told and he remains as one of the most prominent Malaysian men today. His success and richest however has created many envious eyes where his recent 45th anniversary celebrations was ridiculed and mocked by several leaders where he was likened and compared to Kim Jong-il, the late dictator of North Korea. The celebrations were shown on YouTube that prompted many to criticize the way he was celebrated that included Khairy Jamaluddin, the Umno Youth Chief to write on Twitter that the celebrations were alike those that were seen in North Korea but Teh, would not be overly concerned as he remains as some of the few Malaysians who could boast of his success and milestones.